The Weinstein Co. has finally decided to release the full trailer for the latest Bradley Cooper-starrer that initially premiered Monday morning on the Today show. The film, which was originally titled Chef and then changed for obvious reasons to Adam Jones is now going by Burnt, and follows the career of a rebel chef who is determined to redeem himself by spearheading a top restaurant in London that can gain him his third Michelin star. While I'm curious as to if this will be the vehicle Cooper gets his fourth consecutive Oscar nomination for, but at this stage the film seems a bit too much on the fluffy side to be considered awards material. That isn't to say the film won't be good or that Cooper won't deserve a nomination (he'll also appear in Joy which reunites him for a third time with David O. Russell and Jennifer Lawrence), but it inherently feels less like something the Academy won't find worthy of such recognition. Regardless, the fact remains that Cooper has become one of the industry's top leading men (I'm not holding Aloha against him) who does consistently strong work and puts in serious effort that makes it clear he truly loves the craft. While Burnt will revolve around Cooper's chef whose ability to create explosions of taste is undermined by his badboy rants and diva behavior director John Wells (The Company Men, August: Osage County) has also rounded up a rather stellar supporting cast that includes Sienna Miller, Omar Sy, Daniel Brühl, Uma Thurman, Matthew Rhys, Emma Thompson, Alicia Vikander, Jamie Dornan and Lily James. Burnt opens on October 23rd against Jem and the Holograms, The Last Witch Hunter, the latest Paranormal Activity and Rock the Kasbah. 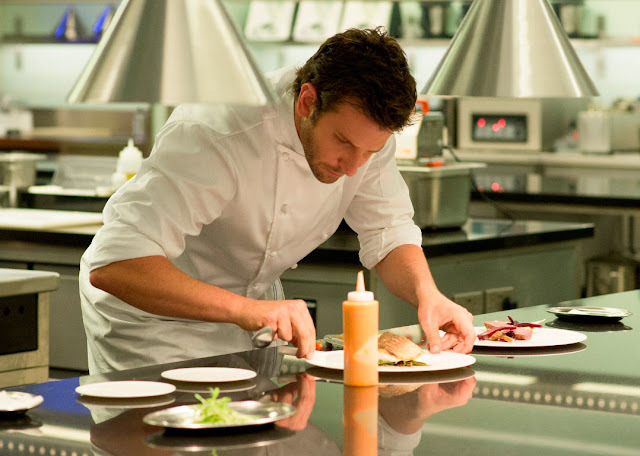 Synopsis:Chef Adam Jones (Bradley Cooper) had it all – and lost it. A two-star Michelin rockstar with the bad habits to match, the former enfant terrible of the Paris restaurant scene did everything different every time out, and only ever cared about the thrill of creating explosions of taste. To land his own kitchen and that third elusive Michelin star though, he’ll need the best of the best on his side, including the beautiful Helene (Sienna Miller). 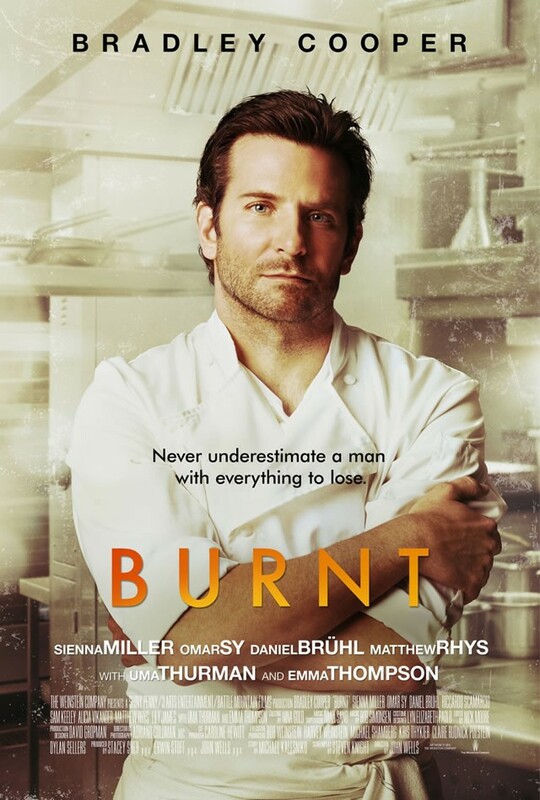 BURNT is a remarkably funny and emotional story about the love of food, the love between two people, and the power of second chances.